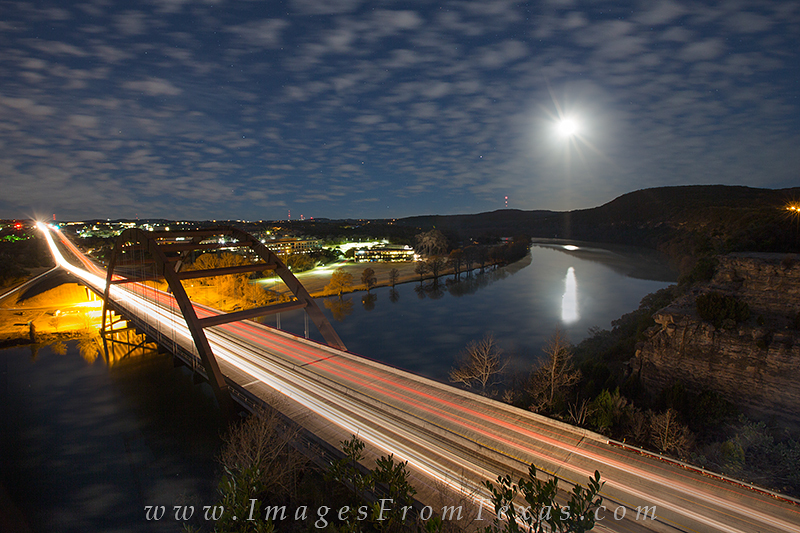 I knew the moon would be full over the 360 Bridge outside of Austin, Texas, on this evening. I headed out in the middle of the night. I think I left my house at 3:00am to arrive and set up for this shot. Gentle clouds drifted across the sky. I actually took a shorter exposure of the clouds to avoid pronounced star trails. The entire landscape was bathed with moonlight as it lit up the skies across the west and Hill Country area. Photo © copyright by Rob Greebon.